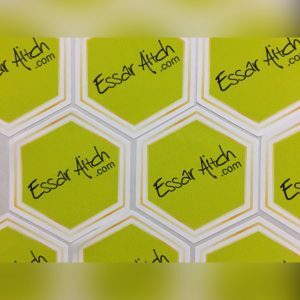 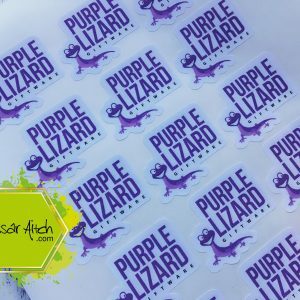 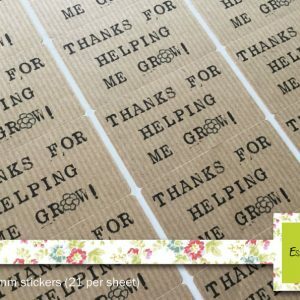 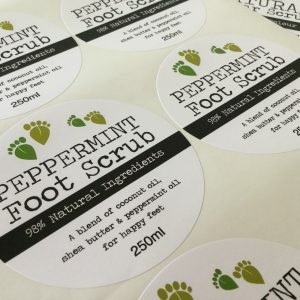 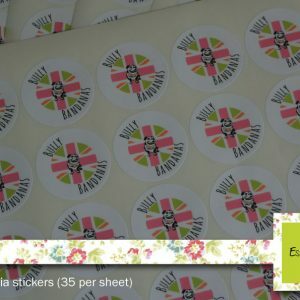 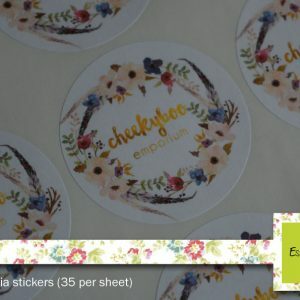 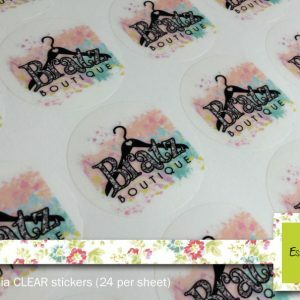 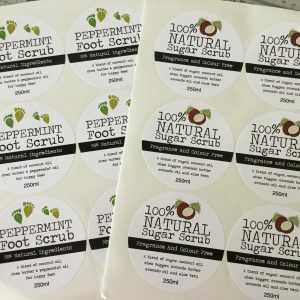 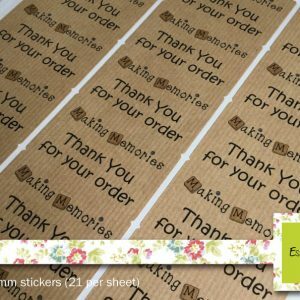 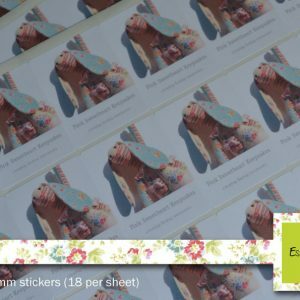 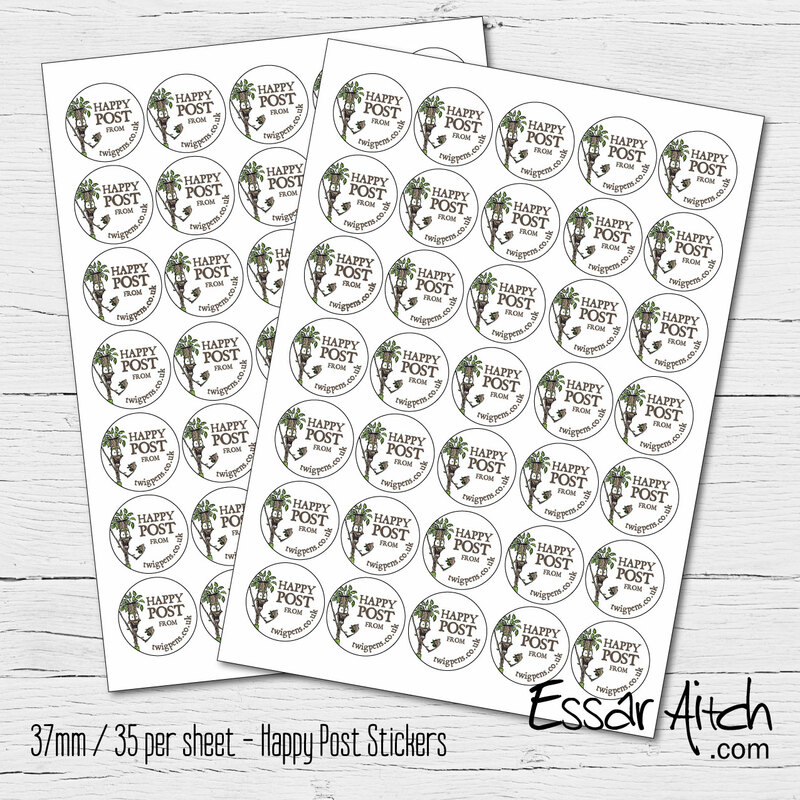 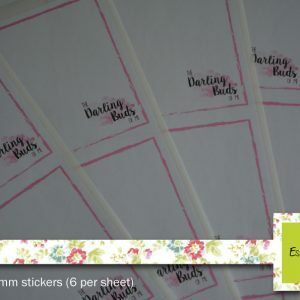 Matt White based stickers for any Happy Post design – I more often than not include elements of your logo so it will match other stationery and be identifiable as your business! 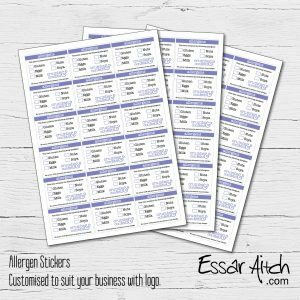 Please email your logo / image after purchase to essaraitchdesign@gmail.com. 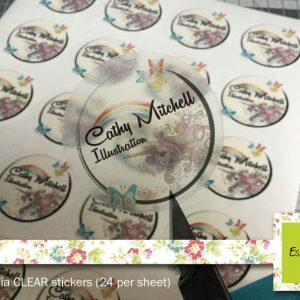 If you don’t have a logo please take a look at the ‘ready to post’ pre-designed stickers or leave plenty of information in the box above for me to design. 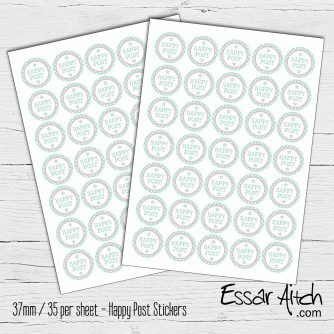 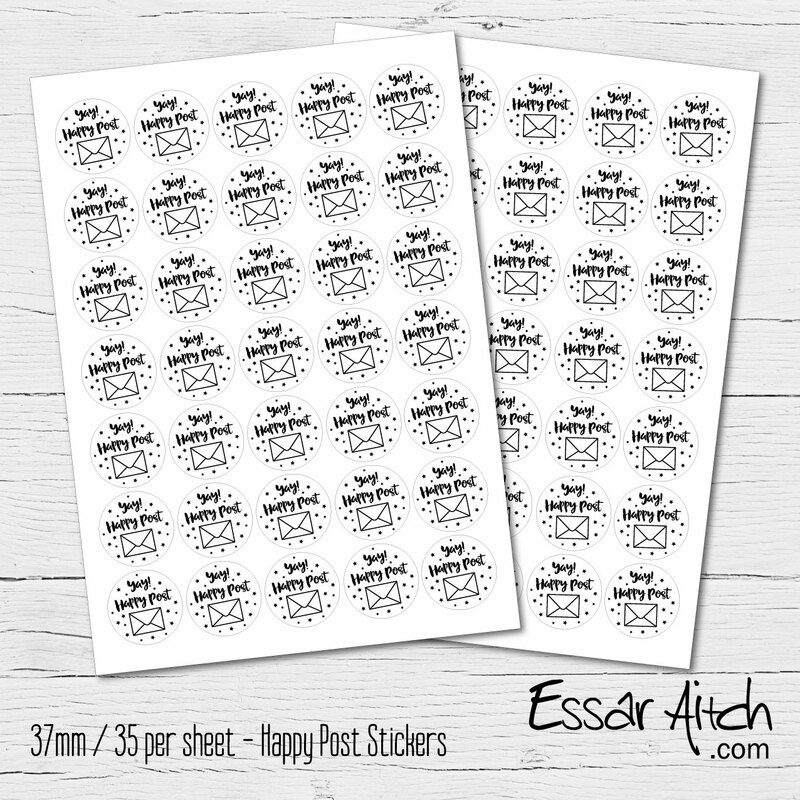 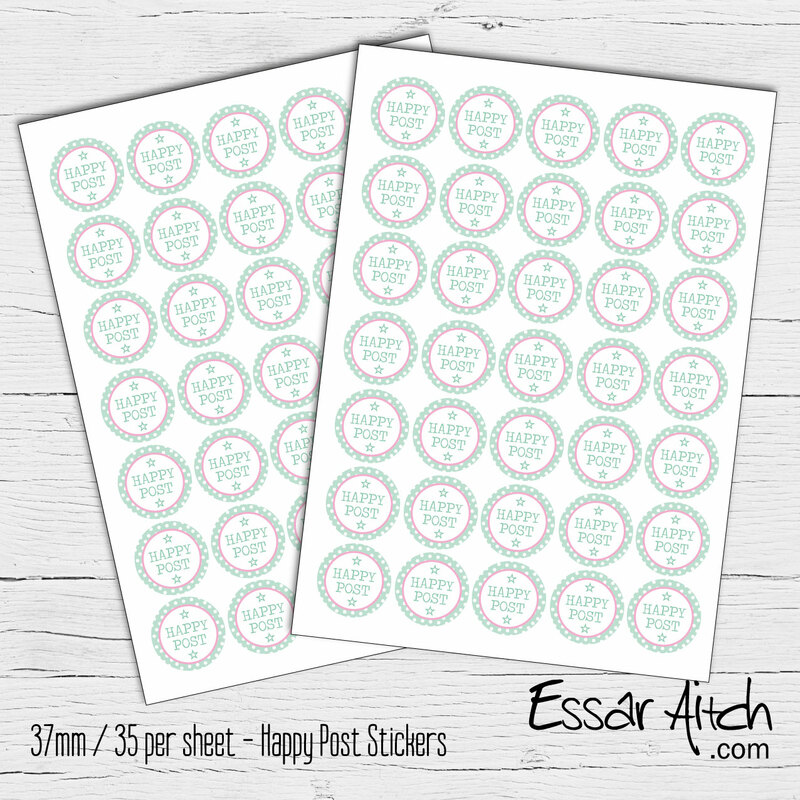 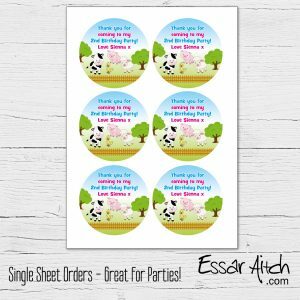 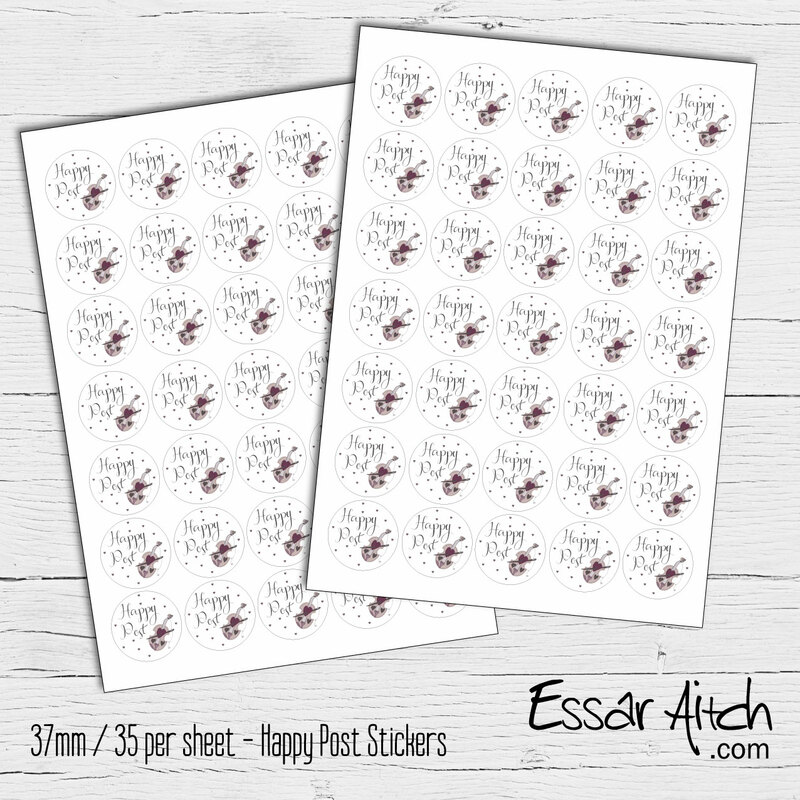 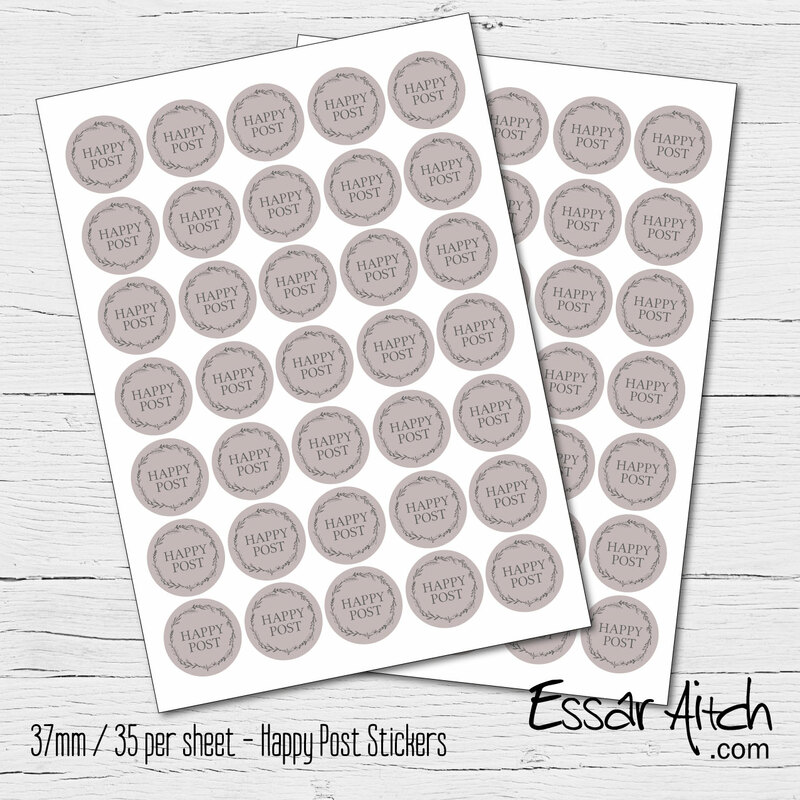 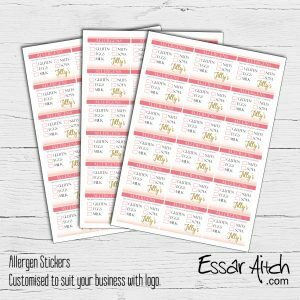 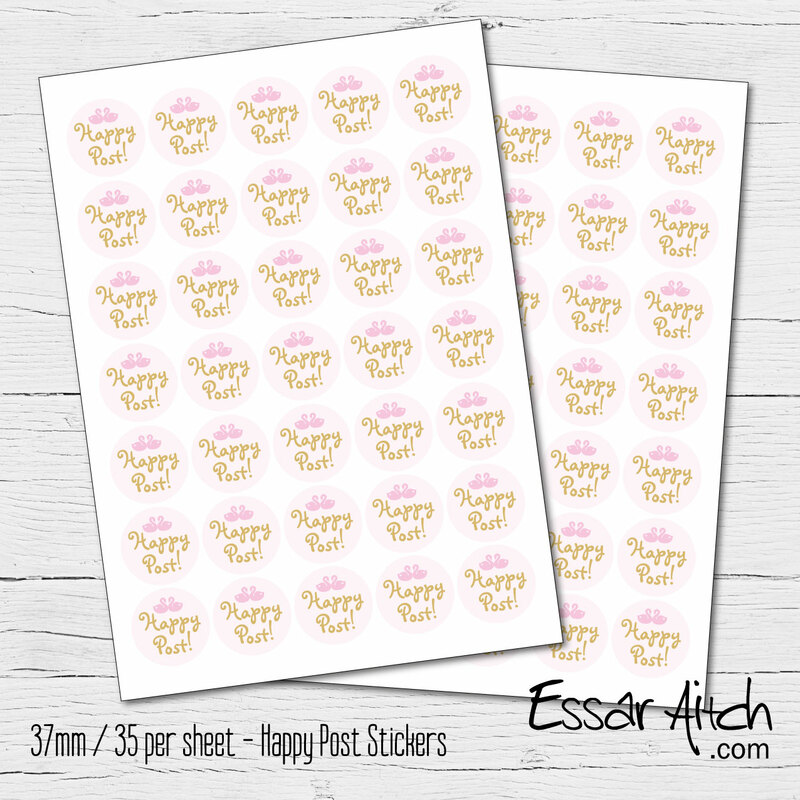 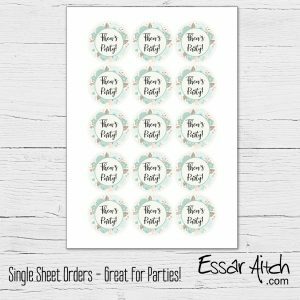 Single Sheet Stickers – READ BELOW!